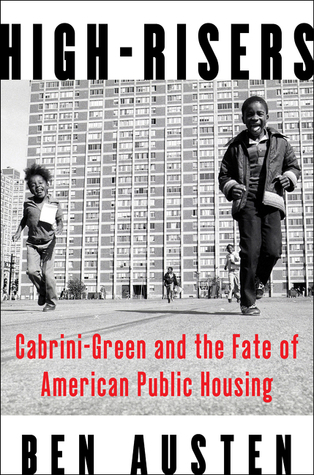 High-Risers braids personal narratives, city politics, and national history to tell the timely and epic story of Chicago’s Cabrini-Green, America’s most iconic public housing project. Tucked into the elbow where the river tacks north, just beyond the Loop and a mie from Lake Michigan, it is as historic a neighborhood as there is in Chicago.In 2016, it was named one of the city's best places to live. A couple of generations earlier, and more than a century after the banks of the Near North Side were settled, surveyors from the Chicago Housing Authority walked its narrow streets, confirming with every step their belief that it was a slum beyond salvation. (This quote is from an uncorrected proof. The final copy may differ). Oma wanted to send a telegram to Papi in Paris, but Mutti said no. "He will be back in three days. He will know soon enough," Mutti said from the cot in the little room that would have been the nursery. She had moved in once the pains began. ("It's too early!" Rose had heard Mutti cry out.) The doctor had come and gone, the sheets had been changed, the blood scrubbed away. Without any evidence, it almost seemed to Rose as if it hadn't happened. 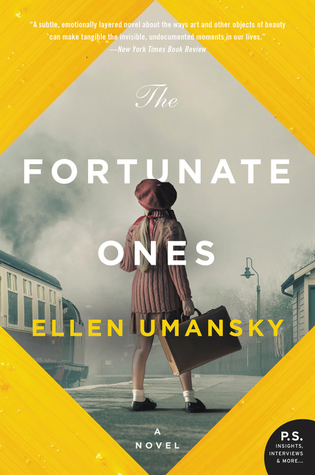 A Chaim Soutine painting—will connect the lives and fates of two different women, generations apart, in this debut novel that moves from World War II Vienna to contemporary Los Angeles. Would you continue reading, based on the beginning and book description? December 19, 2017, William Morrow. 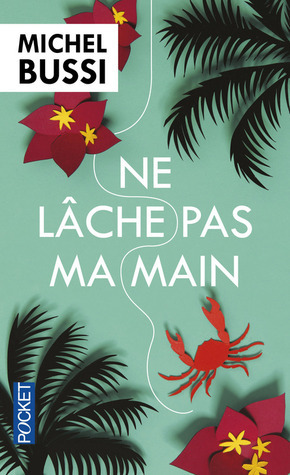 I am finishing up Ne lache pas ma main, in French, by Michel Bussi, a thriller set on the French island of Reunion, Indian Ocean. Slow going, but good! What books are on your desk this week? It's Monday, What Are You Reading? by Book Date. Visit also Mailbox Monday. The title of this cozy, Twelve Angry Librarians, February 21, 2017, caught my eye. I can't imagine twelve angry librarians, at least not in the same space. The book is the eighth in the Cat in the Stacks series. 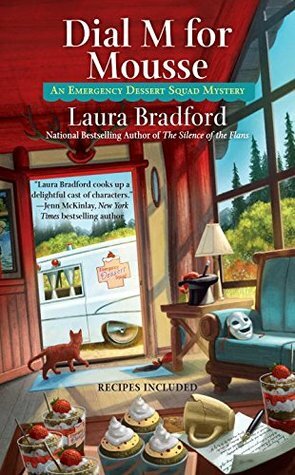 Dial M for Mousse by Laura Bradford, Emergency Dessert Squad Mystery #3, January 2, 2018, from Berkley. Baker Winnie Johnson works overtime to satisfy the emergency cravings of Silver Lake, Ohio and solves a murder mystery along the way. 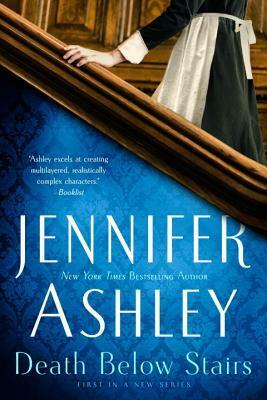 Victorian cook Kat Holloway takes a position in a Mayfair mansion and soon finds herself immersed in the odd household of Lord Rankin. Kat is unbothered by the family’s eccentricities as long as they stay away from her kitchen, but trouble finds its way below stairs when her young Irish assistant is murdered. N'oublier jamais, one I can recommend to those who read in French sometimes. 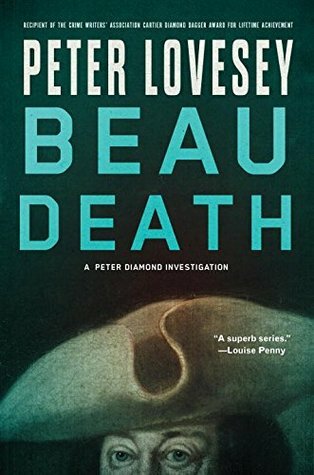 A plot with so many twists and turns and unbelievably complex and interesting characters, not to mention the setting on the coast of Normandy, France. 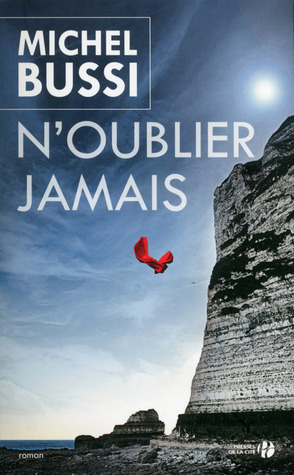 I am now reading another thriller by Bussi, Ne lache pas ma main, set in the island of Reunion, a French territory in the Indian Ocean. Its about a tourist mother who disappears from her hotel on the island, leaving behind her young daughter and husband. I am eager to see if she fled or if she was abducted. I'm sure the plot will have more twists and turns. It would only be a few weeks. That's what Hareth Andrade-Ayala's parents told her when they planned he trip to Washington, D.C. Eight-year-old Hareth and her little sister would travel from La Paz, Bolivia, with their grandparents. Their parents would join the girls later. Hareth's grandparents had lived with the family as long as she could remember, always game for her bits of theater, jokes, and dances, all the stuff her parents were too tired to sit through. She'd traveled to visit relatives with them before. This would be another of their adventures. What was she? She was an undocumented immigrant. She was also a hard-driving honors student whe'd been high school swim team captain and had dreamed of going to college. 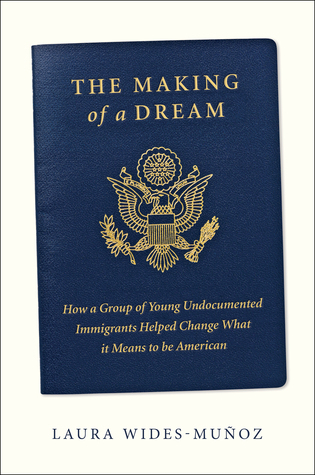 I'm interested in reading about the experiences of these real life young undocumented immigrants who are succeeding in their lives in the U.S. Quotes are from an uncorrected proof ; the final copy may differ. Peter Diamond digs deep into Bath history to ferret out the secrets of one of its most famous (and scandalous) icons: Richard “Beau” Nash, who might have been the victim of a centuries-old murder. The kid was forever asking questions. "What are those people doing, Dad?" "I don't know, son. Just looking/"
"It's some kind of building site. The contractors put those high fences round for safety, but some people like to see what's going on, so they make little windows in the panels." Based on the book description and the first chapter, first paragraph, would you keep reading? I finished and reviewed Dunbar by Edward St. Aubyn, a retelling in modern times of the King Lear story. I have decided to read others in the Hobarth Shakespeare series as well. 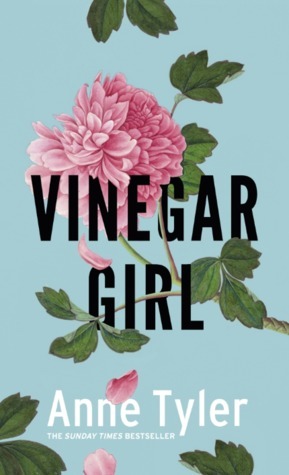 Vinegar Girl by Anne Tyler retells The Taming of the Shrew. 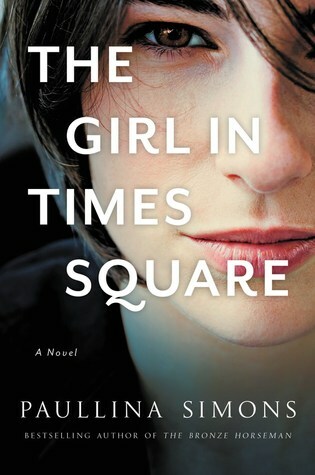 It was an enjoyable, light read, basically a love story about 29-year-old Kate, whose scientist father engineered a romance by matchmaking her with his research assistant, Pyotr. Kate is unwilling to help her father - he needs to keep Pyotr in the country to continue his research, and Pyotr's visa is about to expire. Kate's father tries to persuade Kate to an arranged marriage so that Pyotr can legally stay in the country. How Pyotr manages to win her over is the theme of the story, and Tyler has done a marvelous job with her retelling of Shakespeare's story. 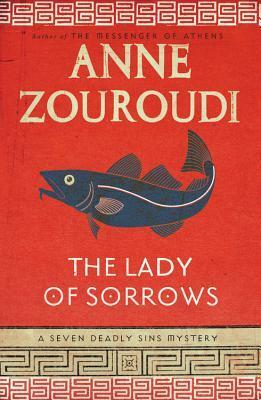 Another book I finished recently was a Greek mystery, The Lady of Sorrows by Anne Zouroudi. Set on a remote Greek island, the plot surrounds the poisoning of a local fisherman and the possible connection to the icon of Our Lady of Sorrows in the local church. There are also questions about the catacombs beneath the church and the secrets kept by some of the colorful local people of the village. The investigator is a visitor to the island, the enigmatic detective Hermes Diaktoros, whom the novel refers to only as the Fat Man. A good plot and an intriguing setting, the book looks at another side of of an otherwise beautiful tourist island. 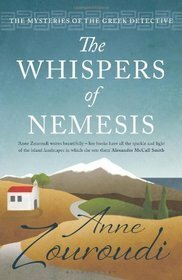 I have downloaded two of the other books in Zouroudis' Greek Detective mystery series - The Whispers of Nemesis and The Feast of Artemis. Visit The Sunday Post hosted by The Caffeinated Bookreviewer, It's Monday, What Are You Reading? by Book Date. 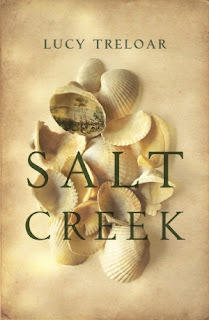 Salt Creek, a debut novel by Lucy Treloar, published February 28, 2017 by Picador Australia. This is an historical novel about the Finch family who move from Adelaide, Australia during hard times to a remote part of the South Australian coast. 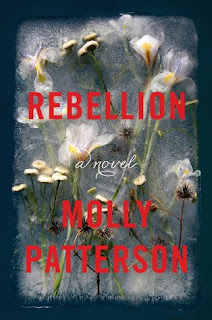 The award-winning book covers "colonialism, race relations, social expectations on women, love, family, and duty." The cheese-making began, using the small moulds from the old dairy farm. I washed them and dried them to make them ready.